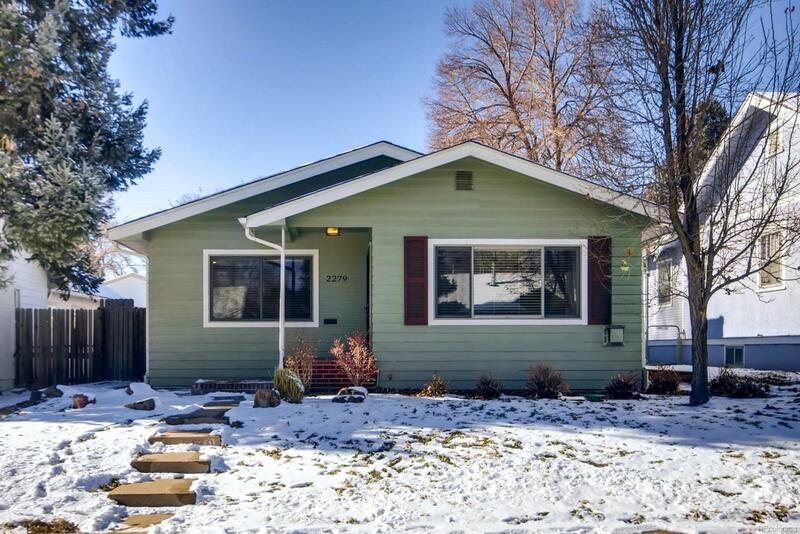 This charming home in an ultra convenient location has been renovated top to bottom! Original hardwood floors are paired with modern, updated finishes throughout. The kitchen showcases maple cabinets, a custom tile backsplash, granite counters and newer appliances. Kick back and relax in the spacious family room or enjoy entertaining in your oversized, newly landscaped backyard! The large master bedroom has vaulted ceilings with skylights and a sliding door to the back deck. Dont miss the detached two car garage with extra storage shelves up top or the fenced in parking spot for an RV. Roof is only 4 years old and a tankless water heater make living easy. Just blocks to DU, Harvard Gulch Park, I-25 and walkable to many shops and restaurants. Offered by Philanthropy Real Estate.